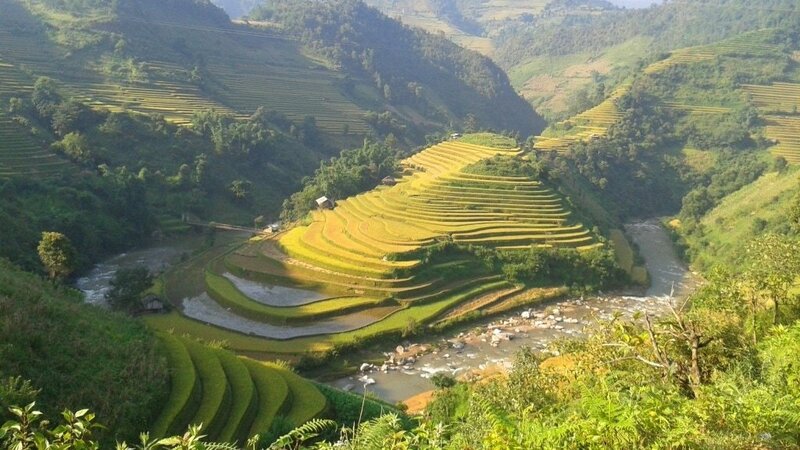 This entry was posted in ALL, Cultural, DESTINATIONS, Mountains, The North, The Northwest and tagged guide, harvest, mu cang chai, photography, rice, terraces, travel, Vietnam, yen bai. Bookmark the permalink. Thank you, it’s great to hear you got to see it and that you enjoyed the rest of the ride northwest all the way to Dien Bien Phu – it’s a really scenic area! Great website you have, I have used it extensively since I am living in Vietnam. Done the northern loop and will be doing the golden loop combined with the limestone routes at the beginning of April. I was hoping you could give some advice on the last weekend of April, the long holiday weekend up until Tuesday May 1st. Thinking of driving to Mu Cang Chai, but wondering if that time is a good time to go there, or if it will still be quite dry. Do you think the paddies will be filled with water yet? I know the rice will not have been planted by then, but just wondering if the fields are dry or filled up yet. If you know this, that would be very helpful. I think the scenery would look fine at that time of year, although I don’t know exactly what stage the rice will be at. 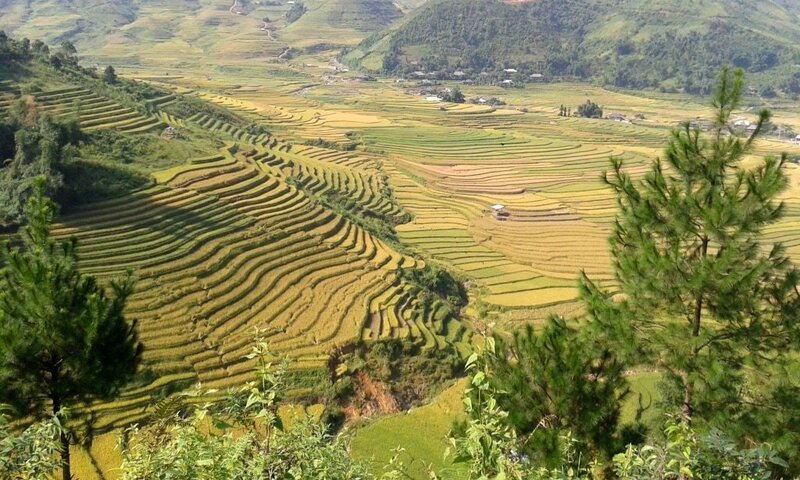 But the problem with visiting on a public holiday is that Mu Cang Chai and the surrounding area will be packed with domestic tourists. 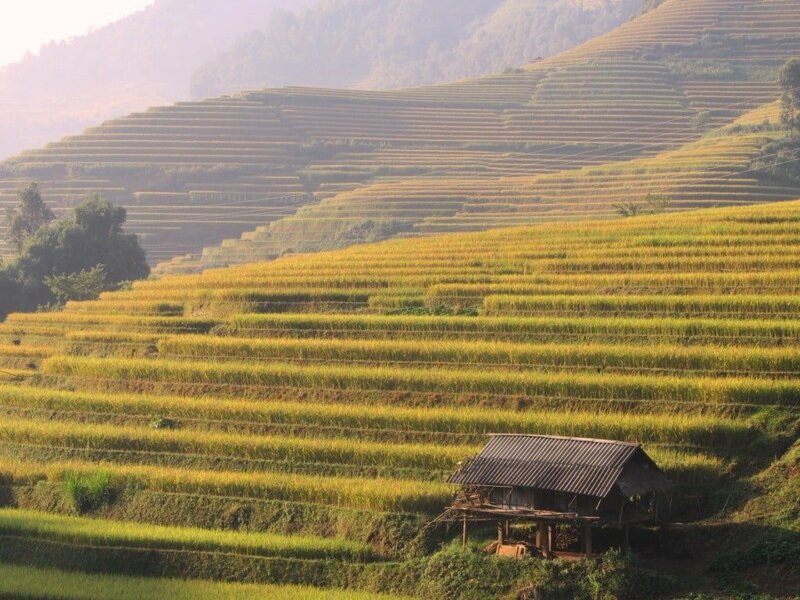 The popular viewing points for the rice fields attract thousands of visitor these days, so if possible I would save your trip to Mu Cang Chai for another time; if not, just make sure you book your accommodation in advance. Pu Luong Nature Reserve is a wonderful place too, but I assume you’ve been since it’s close to Mai Chau. The homestays along the southeast shores of Thac Ba Lake, in Vu Linh, make a good break from Hanoi for a couple of days. Bac Son, too, is very nice. But, again, expect a fair amount of crowds in these places if visiting over the holiday period. I just came across your site and I found it very useful indeed. 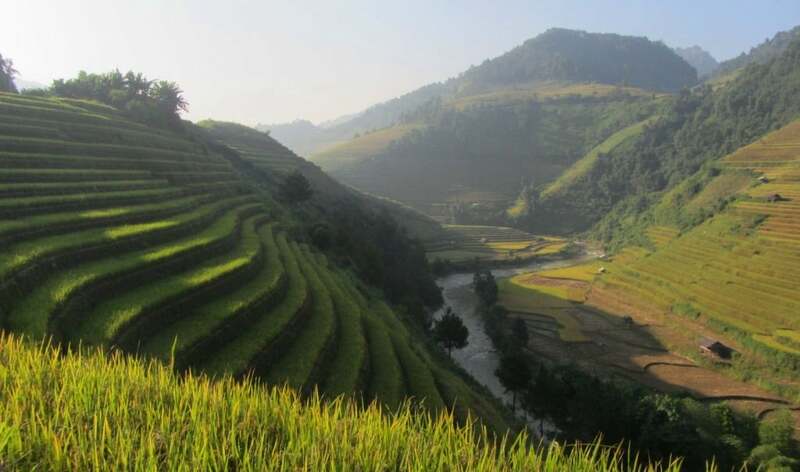 I will be travelling to Vietnam in July and I really have a dilemma: Mu Cang Chai or Sapa? Which is best in your opinion? 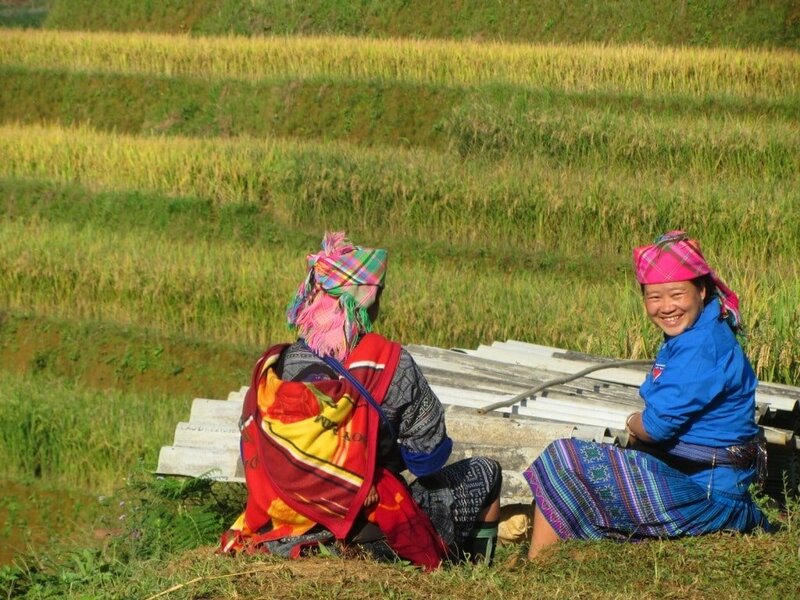 I am particularly interested in seeing impressive rice terrace valleys and stunning landscapes to take photographs. Going to Sapa would be much easier for me because I am traveling solo and I don’t want to ride a motorbike, so I can easily go on an organized tour from Hanoi, but I have read it has become too crowded with tourists and that it is not as spectacular anymore. As for Mu Cang Chai, there isn’t as much information on line, but from your pictures and some other pictures I found on line, it really looks amazing. What is your opinion on how the two compare and which one would you choose? I think it would be much easier for you to go to Sapa than Mu Cang Chai. 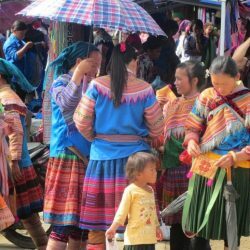 Sapa is easy to get to and, despite being ruined by development and crowds, is still a beautifully situated town. Make sure you get a room with a balcony and a good view. The vistas from town are great but you can also take a trip to the Tram Ton Pass (just 30 minutes away) for more fabulous views. 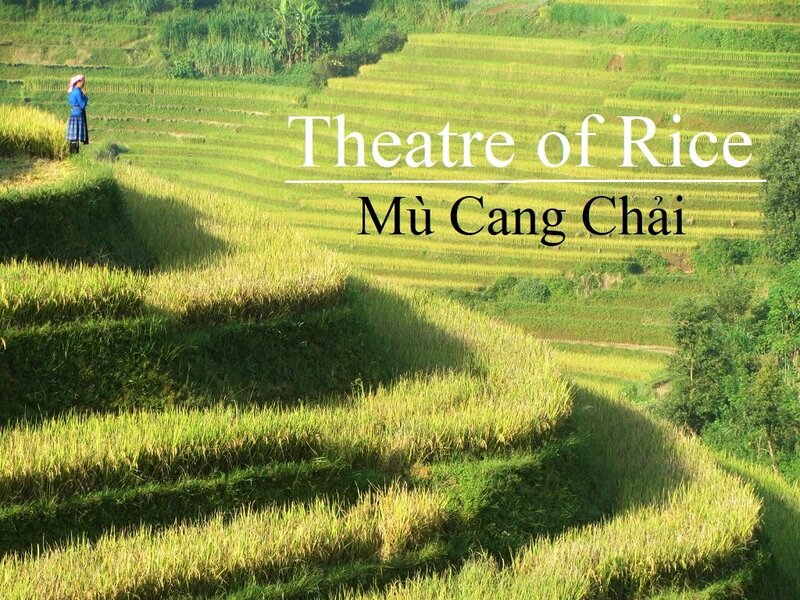 Mu Cang Chai is a very small place famous for one thing: rice terraces. You could even make a day/night trip there from Sapa if you wanted. 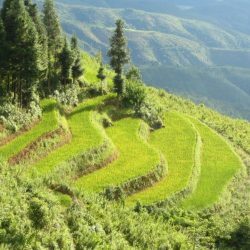 I wish to visit the northern highlands of Vietnam, mainly Sapa plus covering areas like Mù Cang Chải and some more from Hanoi. My plan is somewhere around first 2 weeks of August, but I am not sure if its a good idea at that time of the year. Can you recommend which places will be good to visit in around mid August. You might want to take a look at my Vietnam Weather guide to get an idea of what the weather will be like in the north in August. It’s the rainy season, but that certainly doesn’t mean it rains all the time: mornings are usually sunny, and August is great for colours in the rice fields. Hey~~Great article! I’m going here next week– I hope the place is still photo-worthy! I was hoping for your suggestion- I’ll have almost 2 full days there (getting in on a morning, and leaving the following late night)…I want to rent a bike and drive all around these places you mentioned…do you think I should sleep in Mu Cang Chai or the Tu Le town? I’d enjoy staying in a town if there is much to see at night/not-to-miss food or something– or I’d be happy in a very sleepy town too, if it’s special…can you help me choose which place so I can try to book a room!? Staying in either Mu Cang Chai or Tu Le is fine. Mu Cang Chai is a little bit more touristy than Tu Le. 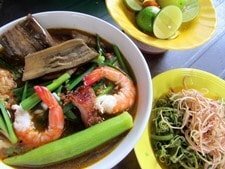 Both towns have nhà nghỉ (local guest houses), and decent street food. And both towns are in a pretty valley next to a river. The ride between the two towns is great and it should still look good near the end of April. We just finished this route going west, and it was amazing. Around this time the rice is starting to grow, so you’ll see more paddies of water with green sprinkles of sprouts than full rice paddies. You won’t see them turn yellow until late May is what I am constantly told. 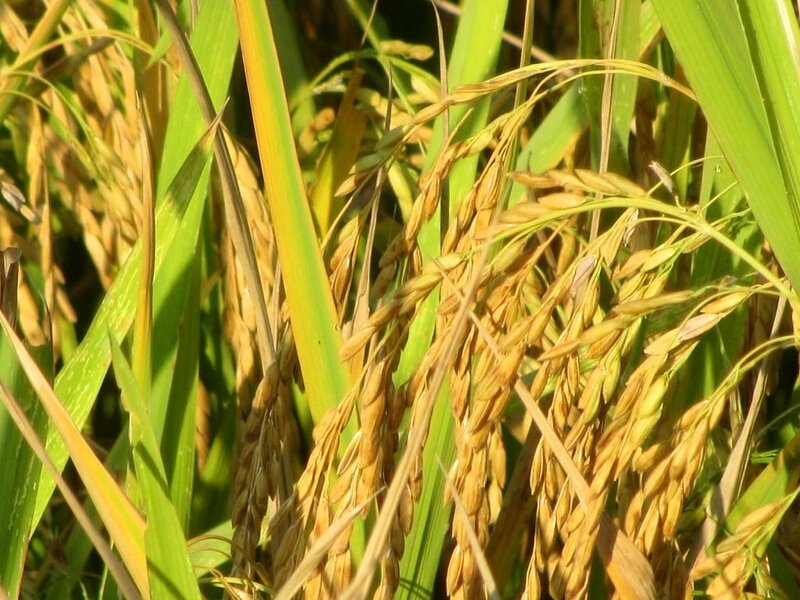 You can also visit in early October, when the rice will be grown and yellow again, plus there will be flower blossoms in villages like La Pán Tẩn – popular with native tourists. We found ourselves spending a night in the middle of the drive, so we stayed in La Pán Tẩn instead of making the push for Mù Cang Chải. If you’re an adventurous traveler you can wander off highway 32 a few kilometers north towards the village. Look for a hotel being built with a green roof – across the street is an honest mechanic, Nam. Ask him if you could stay the night, and he or his friend up the street will host you for a very reasonable price. There will be dinner, all the rice wine you can drink, and karaoke! A decidedly local experience that is very off the beaten track. Very limited English is spoken, so bring a Viet friend or a lot of determination. The village has some great views. Thanks for sharing your experience of this route. Yes, late spring to early autumn (just before the harvest) is the best time to visit for colours. The photos in the above guide were all taken in mid September on a crisp, clear, cool morning. I’d like to get there in early spring someday to see the blossoms that you mention. I was wondering if you could please give me som e information. I will be arriving with my partner to Dien Bien Phu on the 19th May 2016. 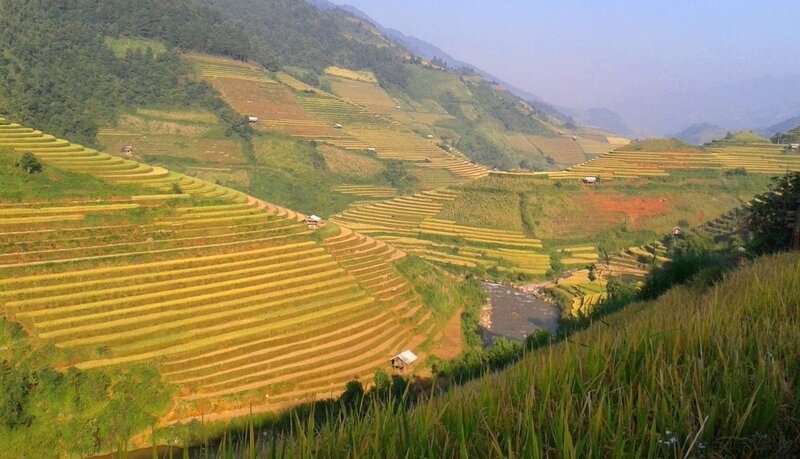 I wish to travel to Mu Cang Chai, Mai Chau and then to Hanoi. 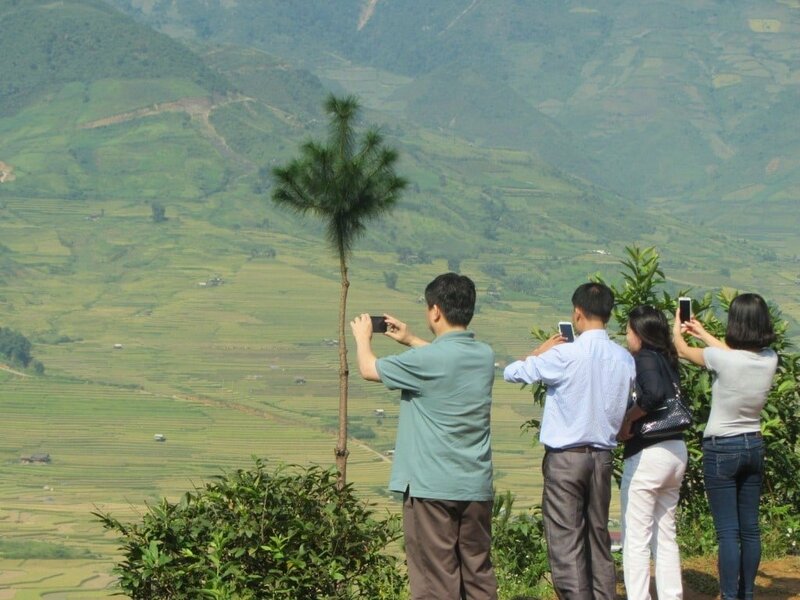 Is there a bus from Dien Bien Phu to Mu Cang Chai? 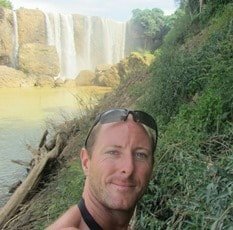 Is there a bus from Mu Cang Chai to Mai Chau? If there are buses do you know the times of these buses? If there are no buses, is there any other way of travelling on these particular routes? There may be buses between those destinations, but if there are they will almost certainly be local buses, in which case you will probably have to find the times and details once you’re in Dien Bien Phu, or at least in Vietnam. You can hire a car and driver to take you between these destinations. It’s a beautiful drive so you will probably want to stop along the way to take in the views. Hiring a car a driver through a hotel in Dien Bien Phu shouldn’t be too difficult, and the cost would be around $50-100 a day. You can certainly find buses running between Dien Bien Phu and Mai Chau (even the big tour buses will drop you at the intersection with highway 6, from where it’s a 10 minute ride by motorbike taxi to Mai Chau). You’ve got a beautiful website and very thorough information. This site really needs to be on page 1 of Google. Beautiful photos! 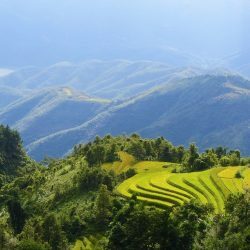 I was wondering if you have been to Mai Chau and how it compares? Also how easy is it to get to from Hanoi? 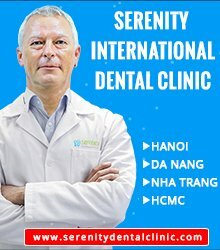 Can you drive all the way from Hanoi? Yes, Mai Chau is also very nice and easily accessible from Hanoi. It’s about 150km from Hanoi by motorbike and very much doable in one day. Mai Chau is in a beautiful valley. Most people stay in stilt house homestays. However, it has became very popular and sometimes crowds can be a problem. 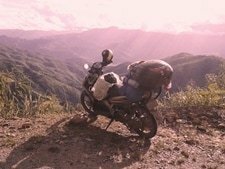 Read more about Mai Chau and the journey there in Section 1 of this motorbike guide. Also near Mai Chau is Pu Luong Nature Reserve, which is very beautiful and full of great homestays. Read more here. 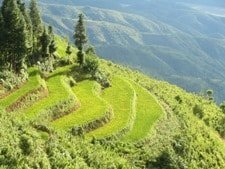 Can you give me an idea of the best route to follow from Yen Bai city to Mu Cang Chai by motorbike? And what are the roads like? If you’re coming from Yen Bai take Road QL37 to Ba Khe. Turn right onto Road QL32 towards Nghia Lo. 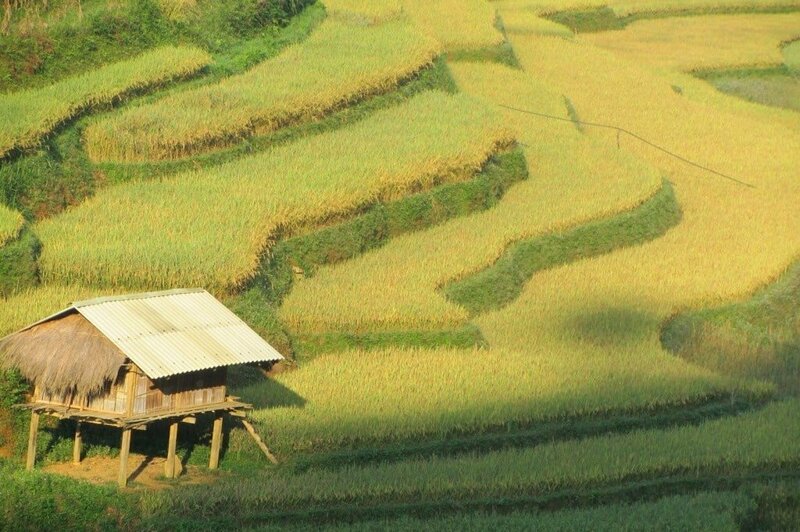 Stay on Road QL32 which takes you all the way through the rice terraces to Mu Cang Chai. Have another look at the introduction and map in this article too. The roads are fine, there’s a little bit of construction on both roads but it shouldn’t be enough to spoil it – at least it wasn’t when I was last there in October 2014. I will be there Mid/End of March. 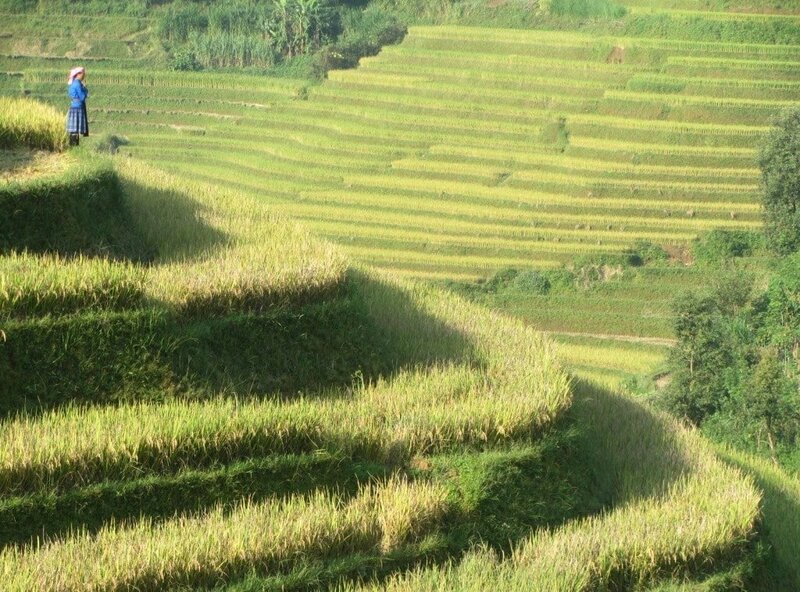 Do you know what colour the rice terraces have in this season? Is there any green, or just mud and brown? Technically that’s spring so there should be more than mud and brown, but it can still be pretty chilly and wet at that time of year, so it’s difficult to say what it will be like. I’d say it the weather looks good then it’s worth a trip. I am a photographer and I intend to stay in Tú Lệ town and from there visit the right terraces. I will be there in December. I would like to shoot some photos very early in the morning. 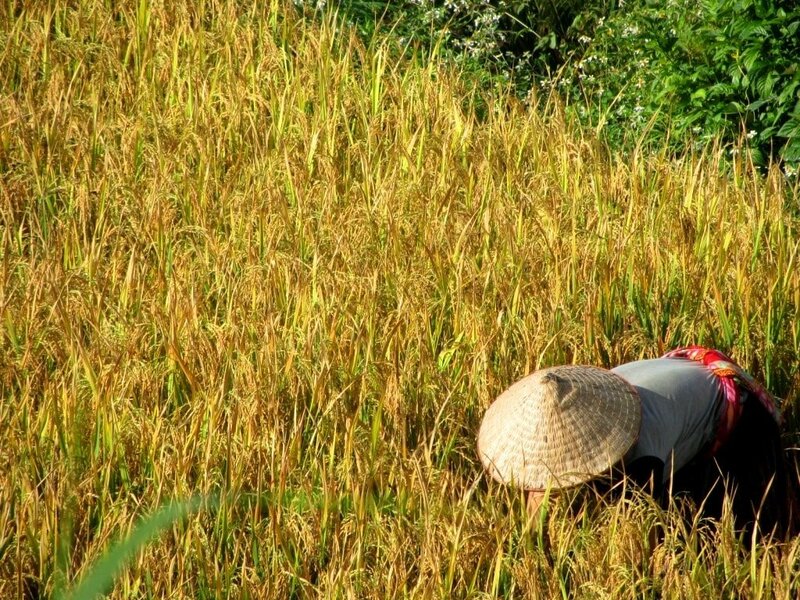 How long is the journey from Tú Lệ to the rice terraces and the Khau Pha Pass? I do not ride motorbikes, so I was thinking of hiring a local driver – is that possible? Tu Le town is just a few kilometres from the Khau Pha Pass. You should be able to arrange a driver from one of the guesthouses (nha nghi) in Tu Le town. I hope the weather is suitable for photography! 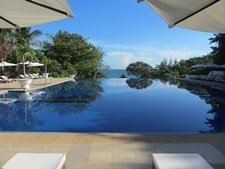 What kind of weather should I expect if I am traveling Saigon to Dien Bien Phu in early February? Thank you for showing this part of the country. 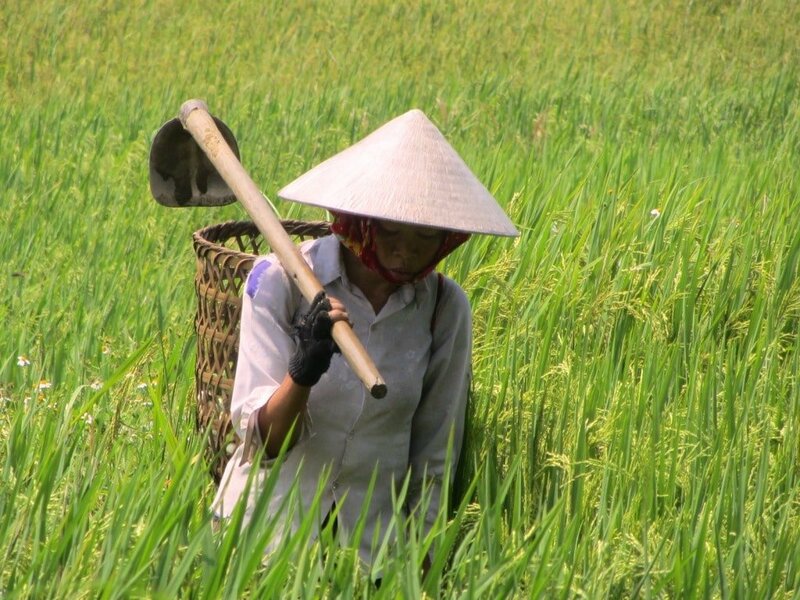 I enjoy your pictures, blogs, guides and insights of Việt Nam.